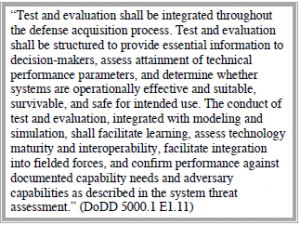 The Test and Evaluation Master Plan (TEMP) describes an acquisition program’s planned Test and Evaluation (T&E) activities over a program’s life-cycle and identifies evaluation criteria for the testers. It serves as an executive summary and provides a framework within which to generate detailed T&E plans and documents schedule and resource implications associated with the T&E program. The TEMP identifies and integrates all of the T&E requirements with the program’s Acquisition Strategy and requirements. A draft is due for the Development RFP Release Decision and is approved at Milestone B. REGULATORY: A draft update is due for the Development RFP Release Decision Point and approved at Milestone B. DOT&E will approve the TEMP for DOT&E Oversight programs (10 U.S.C. 2399 (Reference (g))); Deputy Assistant Secretary of Defense (Developmental Test and Evaluation) (DASD (DT&E)) will also approve the TEMP for Major Defense Acquisition Programs (MDAP) and Major Automated Information System (MAIS) programs and Under Secretary of Defense for Acquisition, Technology, and Logistics (USD (AT&L)) designated special interest programs (10 U.S.C. 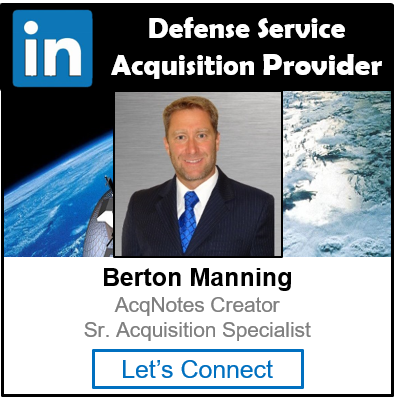 139b, Reference (g)); the DoD Component equivalent will approve the plan for other programs.